Ensure you have Google Analytics checked, and the Google Analytics tab is showing. You might need to click the Save button if the tab is not showing. 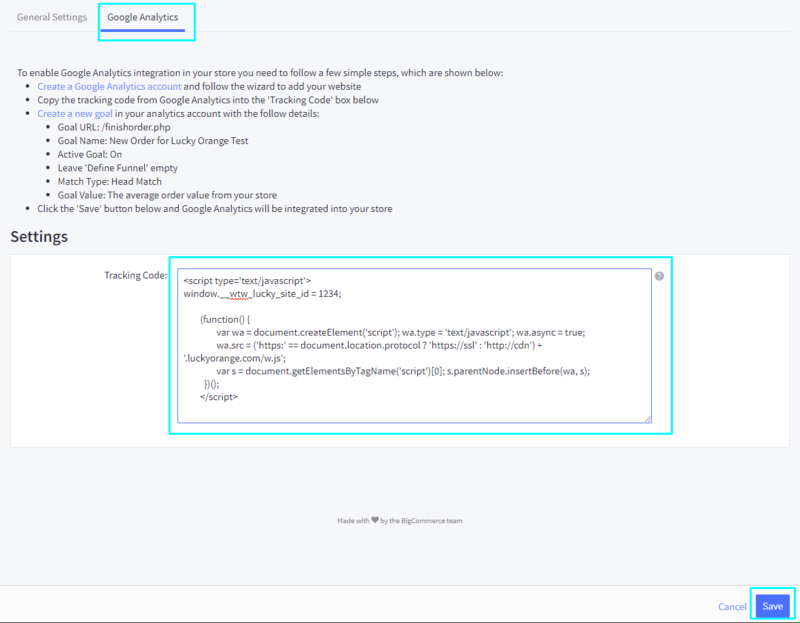 Click Google Analytics and then Paste Your Tracking Code into the box while still leaving any Google Analytics code in place (you will need to select the option to manually place the Google Analytics code to be able to add Lucky Orange as well). Then click save. To find your tracking code: Log in to your Lucky Orange account. 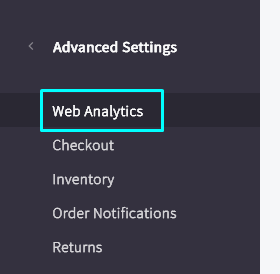 Click the Settings gear in the top right » Select the Tracking Code item in the sidebar. NOTE: Lucky Orange will start tracking data after the next new visitor arrives on the site. 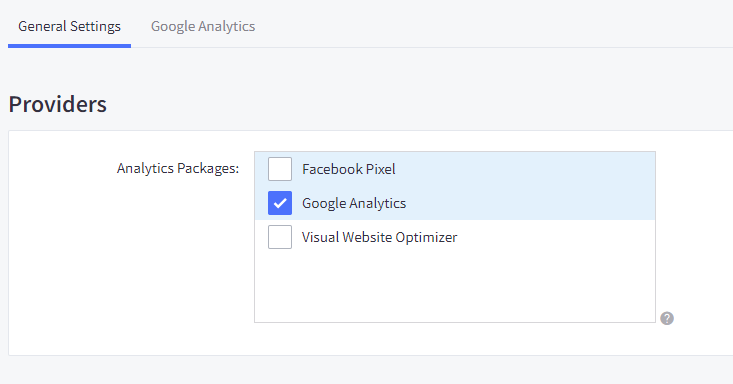 Note: To uninstall Lucky Orange, simply follow steps 1–4 to get to the Google Analytics page. Then, remove the Lucky Orange tracking code snippet you originally pasted in the text box.